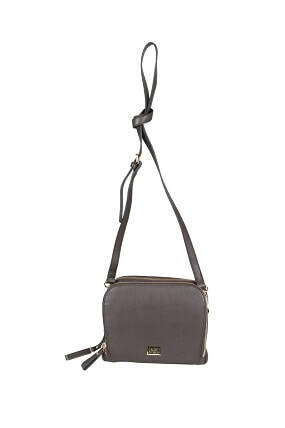 Features Editor, Pam Latham talks about an important necessity for the mature woman, a great hand/shoulder bag. Mere men do not understand how important this is. Yes, I know when they were wearing flairs and platform shoes, they had man bags, but they weren’t smart enough to keep it going. Like the credit card, we can’t leave home without one, so when we heard about this Australian designer, who creates her designs around business and leisure. Well girls, I immediately put my hand up for a test drive. Sash & Belle was founded in 2013 by Canberrean-based designer, Kristy McPhillips. Kristy explained - that she wanted to design and create handbags that marry style, functionality with the modern lifestyle, so she created Sash & Belle. ‘I am so proud of how Sash & Belle has grown into a thriving national business. My very first nappy bag design sold out on its first release! I have also be able to secure some wonderful stockists in NSW, Victoria and the ACT for my bags, including my all time favourite store (besides my own) Birdsnest! I describe my aesthetic as minimalistic, timeless, and functional, and all of my designs must be practical for the busy mum and corporate woman. I like to draw inspiration for the style of my products from Europe and America. I am passionate about living my values of honesty, bravery, innovation, integrity and optimism; my values determine how I approach every situation. Sash & Belle. Celebrating both form and function, each bag by the house is meticulously designed for the busy, contemporary woman; offering versatility, storage and style as standard. Pam Latham: I chose the Eden in brown. And it ticks all the boxes. See pictures. Now all I have to do is to get Michael to take me on a trip! Tahiti looks nice!